Elections officials in Cuyahoga County have discovered that 250 invalidated votes should have counted in Ohio’s last statewide election. But the discovery, which other counties can duplicate for about $500, will not change how Ohio runs the upcoming presidential election without action from state leaders. In a post-election analysis, Sean Webster of the Cuyahoga County Board of Elections reviewed roughly 1,500 absentee ballots that arrived after the polls closed on Nov. 2. About 900 lacked postmarks, which would clearly state when the ballots were mailed. Another 563 were postmarked too late. All were tossed out. Statewide, about half of 7,244 late-arriving ballots lacked postmarks. The key, Webster said, is how postal service machines handle the mail. The smaller envelopes, not used in Summit County or recommended by the Ohio secretary of state, are more likely to be given a postmark. And even if they miss a postmark, Webster found that 90 percent of the letter-sized envelopes that carried the late absentee ballots received a fluorescent orange bar code. With a $500 scanner and about eight hours of labor, the board of elections in downtown Cleveland was able to decipher from the timestamp encrypted in the bar code that 250 late ballots (about 17 percent of the total) were actually received by mail carriers before the deadline. If implemented statewide, bar codes may have reduced the number of discounted ballots by more than 1,200, according to the state’s tally of late ballots and Cuyahoga County’s results with the scanner. But there’s a hitch. Secretary of State Jon Husted says state law bans county boards of elections from using bar codes, even if no other marking exists. Only postmarks, which cover and date postage stamps to prevent them from being reused, are applicable. The U.S. Postal Service is encouraging Ohio’s elections officials to use the standard, letter-sized envelope. Husted’s office argues that there’s no guarantee the smaller mail would even receive a bar code, which is applied by the same machine that failed to postmark thousands of ballots. Cuyahoga County alone saw 900 smaller envelopes missing postmarks. Pat McDonald, the Republican director of the Cuyahoga County Board of Elections, said there may be no magic bullet to solve the missing postmark problem, but refusing to include bar codes or recommend a switch to smaller envelopes will not move the state toward a more equitable voting system. “What we found is that if we could have used this scanner, it would have resulted in at least 250 ballots being accepted,” McDonald reiterated. Husted spokesman Joshua Eck said his boss hasn’t reviewed Cuyahoga County’s findings. “I can assure you that we will definitely look at anything that is sent,” Eck said. Husted, instead, blames the postal service for not applying postmarks, which federal rules says need only be given to stamped mail. In the coming weeks, absentee ballot voting will begin and Husted is expected to issue guidance on how to deal with missing postmarks. Eck said the secretary is “bound by law” to reject bar codes. Meanwhile, a bill that would allow Husted to accept any postal marking has stalled in a House committee chaired by Rep. Tim Brown. The Republican from Bowling Green has not returned phone calls seeking comment on if or when House Bill 309 will receive sponsor testimony. The bill, introduced six months ago by Democrat Rep. Kathleen Clyde of Kent, has sat idle since before the troubled November election. “I’ve contacted the chairman multiple times to request a hearing and have not heard back. I’m disappointed that it has not received any attention from the legislature,” Clyde said Friday. Republican Speaker of the House Cliff Rosenberger expects party leadership to determine whether the bill moves forward. 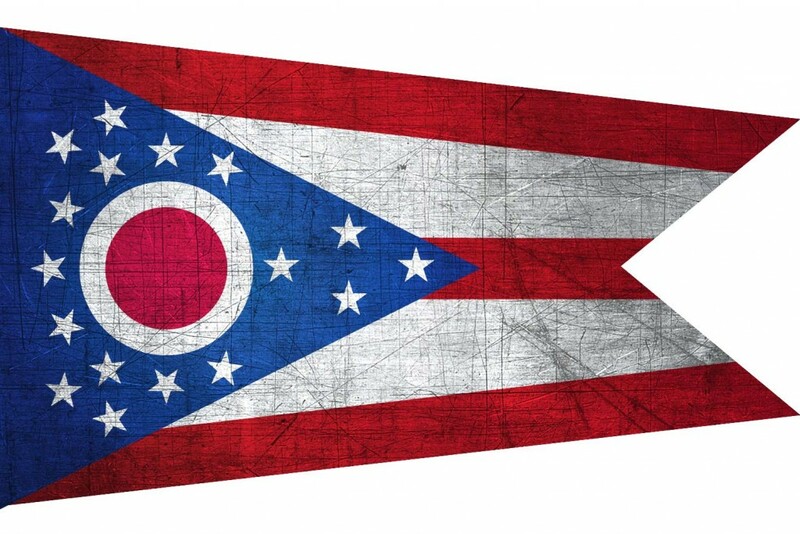 While it would be unfortunate (albeit typical) for this to become a partisan issue in Ohio, the bottom line is that election officials and policymakers have to figure out a way to bring election laws and procedures more into line with current postal practice. Whether it’s smaller envelopes, new laws – or just better handling of ballots by the USPS – it’s imperative that ballots not be disqualified when the voter herself has done nothing wrong. If this controversy continues, Ohio counties may want to follow the example of their colleagues in California and elsewhere who have begun encouraging voters to return mailed ballots by some date certain before the election in order to ensure that they are received for counting. Next: Empire State Early Voting? Be the first to comment on "Buckeye Ballot Barcode Brouhaha: Counties Seek State Action to Improve Counting of Late-Arriving Ballots"